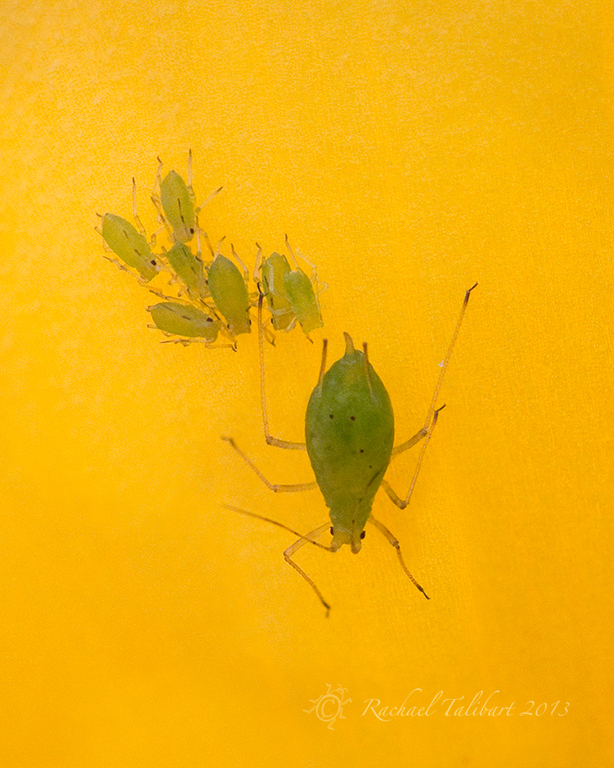 Well, I know it is a little unkind to my gardening friends but I had to share this picture of a greenfly and its progeny. Purely in the interests of enjoying their colour against the tulip, of course. Come on, admit it, the babies are just a tiny bit cute? This entry was posted in garden, nature, photography and tagged aphids, garden, garden photography, greenfly, macro, macro photography, pests by Rachael. Bookmark the permalink. Such a beautiful picture. The colours are so intense. Yes, they’re certainly cute even if they are greenflies! How on earth did you develop this fascination for bugs? Photography did it. I used to be afraid of them. True! They’re cute indeed, Rachael. I’ve missed your six-legged friends. I’d swear this photo is a painting – there’s just something about it. It’s remarkable. Thanks, Sid. It’s all about the light. Great photograph. Interesting greenfly, cute – no. I think they’re as cute as anything ! Uh, LOVE. I’m with Sid. I miss your six-legged subjects.